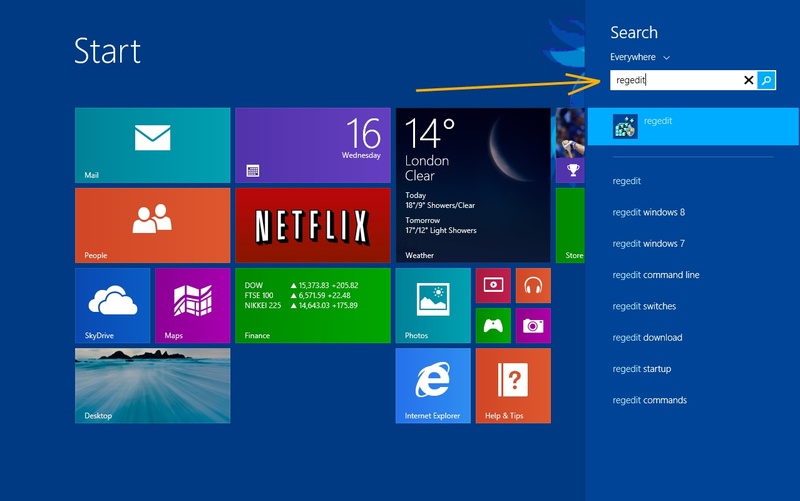 Windows 8 has this new feature that lets software applications to run in the touch-friendly metro UI mode. It takes you to a full screen view basically. 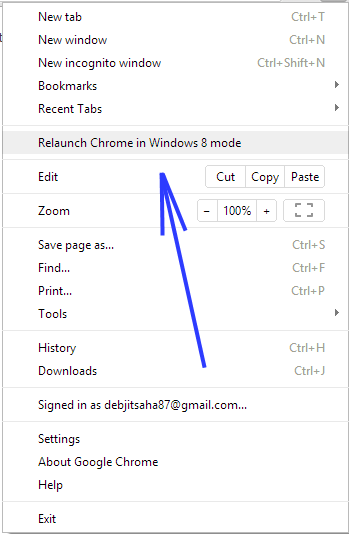 You also have an option to move back to the Desktop mode from the Windows 8 Metro mode. However, this option seems to be a bit buggy for time being and does not actually change the launch mode back to Desktop mode. Launch Registry Editor by going to the start menu using the Windows key and then type Regedit and press enter. 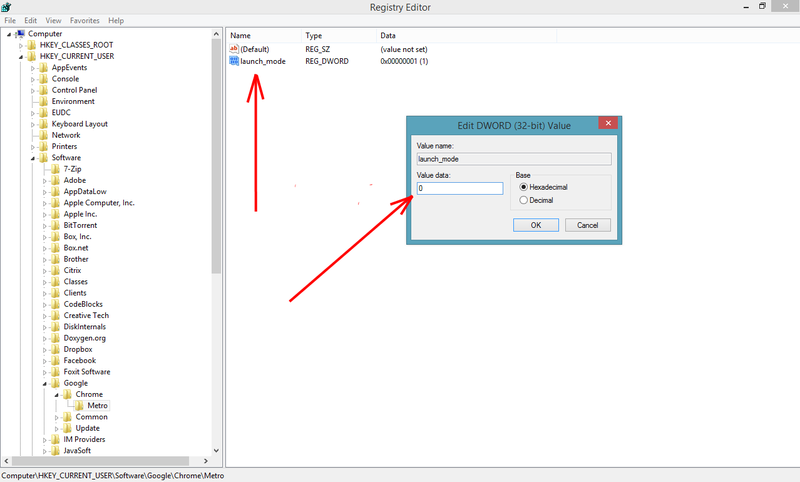 Alternatively you can click on the Regedit suggestion as shown below. After you navigate to that path there is a registry entry called launch_mode. All you need to do is just change the value of that entry from 1 to 0.